You are viewing the j. r. r. tolkien tag archive. While not necessarily a well-known holiday, Thesaurus Day is celebrated on January 18, the birthday of Peter Mark Roget, creator of Roget’s Thesaurus. 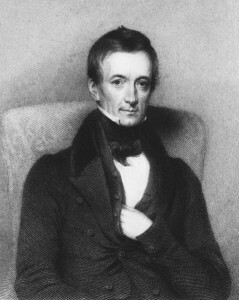 The original version of Roget’s thesaurus, created in 1805 and released in 1852, contained 15,000 words. Over the years, the thesaurus has grown, adding thousands of additional words and synonyms. These days, in addition to print versions of the thesaurus, wordsmiths are able to access the Roget’s thesaurus online through Thesaurus.com. If you are interested in a historical perspective, a 1911 version has been cataloged as part of the ARTFL Project through the University of Chicago. We’re celebrating a day early here on The Hub by using the thesaurus to swap words in some popular YA titles. See if you can figure out the original titles and then scroll down to check! A Chain of Ill-fated Happenings. After recently returning from a trip to Florida where I stepped through the gates of Universal Orlando, dragged my children as quickly as possible to the back of the park, and … experienced an EPIC GEEK MOMENT! 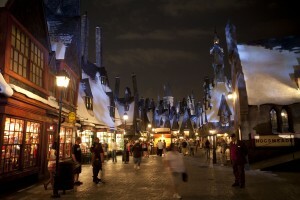 When we rounded onto the first view of Hogsmeade in the Wizarding World of Harry Potter (even with its inconsistencies), our entire family gaped and our inner geeks screamed, “I am home.” It was excellent! My only complaint is that there needs to be more: the common rooms, the prefects’ bathroom, Diagon Alley, Gringotts — more! Yes, some of this is in the works, but it could never be enough for the die-hards. As a side note, the Harry Potter and the Forbidden Journey ride may just be the best ride ever created. Anyone who has ever watched the Academy Awards® knows that the awards are not given to the most popular films that young people like (with a few exceptions like The Lord of the Rings trilogy). For the most part, the members of the Academy nominate and vote for serious, more high-brow films like the silent black and white film The Artist or The King’s Speech that have more appeal to older filmgoers (I loved them, but I’m older too). If the Academy voters were to consider films as Best Picture nominees that teens really enjoyed that were based on books, then The Twilight Saga, the Harry Potter series, or this year’s The Hunger Games or The Perks of Being a Wallflower would have been selected. While it’s true that many films nominated for this Sunday’s Academy Awards® are based on books, most are published for adults, not young adults. That doesn’t mean that some of the many nominees based on adult books aren’t entirely without teen appeal. Argo is based on the book The Master of Disguise by Antonio J. Mendez. It was one of four films I saw last Saturday as part of AMC Theaters’s Best Picture Showcase 2013 Oscar® Nominees along with Amour, Les Miserables, and Django Unchained. In addition to being based on a preposterously unbelievable true story, Argo is suspenseful with a lot of humor that balances the tenseness of the plot. It’s a lot of fun to watch, although I’d heard that parts are made up so it’s more of a docu-drama, as is Zero Dark Thirty. SLJ’s Extra Helping e-newsletter just had an interesting Connect-the-Pop blog post a few days ago by Peter Gutierrez. He interviewed media literacy educator Frank W. Baker about showing students Lincoln, Argo and Zero Dark Thirty to encourage them to think critically about how these films aren’t necessarily all true but portray a version of the truth. There were a few years there where fantasy seemed like it was on the outs, relegated to the back table with the Dungeons and Dragons players and fairy-tale enthusiasts. There were a few breakthrough series such as the Eragon books, but for the most part, supernatural titles featuring vampires, wizards, zombies, fairies, and werewolves were taking up prime real estate on library shelves. I have no memory of being unable to read. Even in my earliest recollections, Thomas the Tank Engine rolls across the page, pursued by Winnie the Pooh and a number of outsized vegetables. My universe continues to be populated, in large part, by fictional characters of all ages, species, and historical eras. While the number of books that I have read (or perhaps “devoured” would be a better word) probably numbers in the thousands, only a few have stuck out as volumes with era-forging power. On average, I find a book like this once every four years, coinciding (oddly enough) with leap years. Since today is Leap Day, I thought it would be appropriate to make a list of the three books that have caused me to dress in strange costumes, compose bad fan fiction, and drop allusions every which way. What’s special about January 3rd? 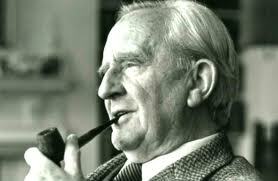 Well, there may be many things, but in the book world, it’s the birthday of JRR Tolkien. With today marking the 120th anniversary of his birth and the recent release of the first movie trailer for The Hobbit: an Unexpected Journey, this seems like a good time to consider the influence of the grandfather of fantasy. Whether you’re a fan of The Hobbit and The Lord of the Rings (LotR) series or not, it’s nearly impossible to deny Tolkien’s impact on the fantasy genre. 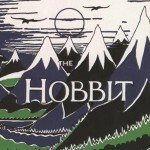 Though initially published in 1954 and 1955, LotR gained huge popularity when the second edition was published in America in 1965. The doors for the world of high fantasy were flung wide and many stepped through. 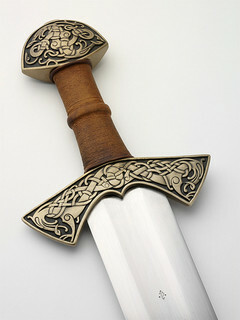 Among these early fantasy writers were Terry Brooks (The Shannara series), Frank Herbert (Dune), David Eddings (The Belgariad), Stephen R. Donaldson (The Chronicles of Thomas Covenant), Dennis McKiernan (The Iron Tower Trilogy), Anne McCaffrey (Dragonriders of Pern), and even George Lucas (Star Wars). 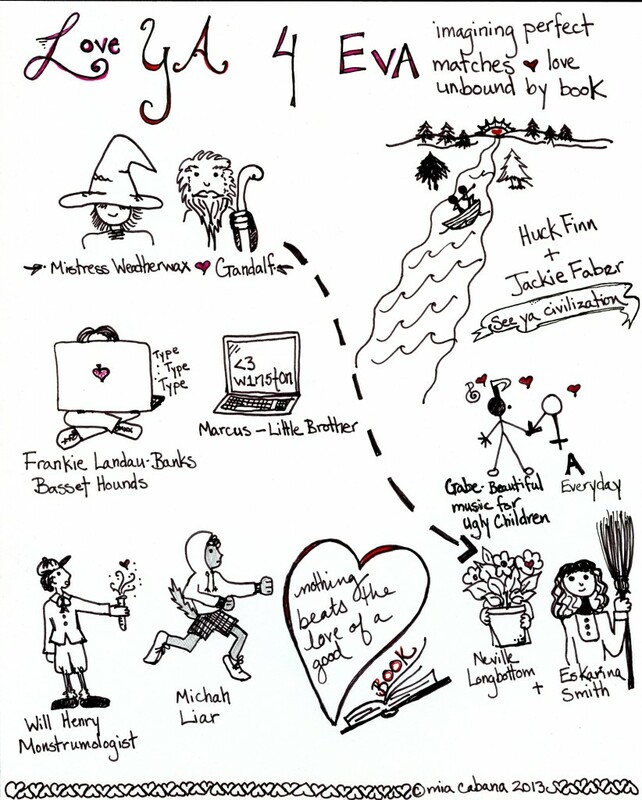 This is by no means an exhaustive list, and I’m sorry if I left out your favorite author!